Davido caught one of his friends mocking his uncle who contested for the gubernatorial office in Osun State. Davido’s friend who goes by the name Oluricky made a comment about Davido’s uncle; Ademola Adeleke in a post on Instagram, making fun of the fact that he was not present for the debate held before the elections and now wants to go to court to challenge APC’s win. 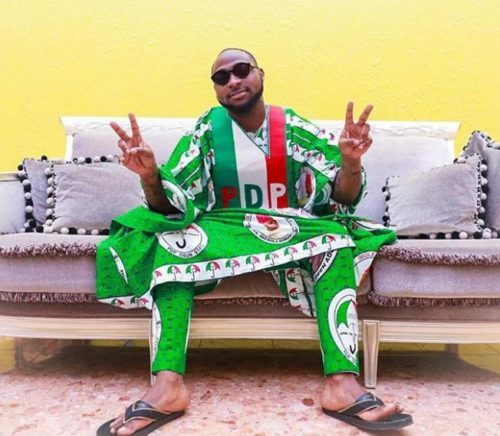 Many would recall Davido’s passionate support for his uncle during the election and especially during the campaign before the election. Davido felt so disappointed in his friend as he never expected such from him, he tagged the guy fake and said he ‘hopes to see him soon’. we hope this doesn’t get messy.